Clarins emphasizes the raw vegetables, natural ingredients from organic farming, the plants grown locally or fair trade transactions. A policy of strict ingredients which states a concern in terms of preservation of biodiversity. 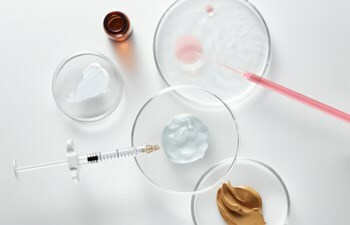 In addition to the regulatory requirements, Clarins laboratories obtained, more stringent certifications that reward your absolute requirement in terms of safety to the consumer service. In the context of production, priority is given to the reduction of greenhouse gases and to optimizing the use of natural resources. Create the beauty needs and constantly improve existing products. Thanks to this philosophy, Clarins created so many "stars" products that have revolutionized the history of cosmetics. In each product a response to a real need, multiple textures, a method of application that increases your effectiveness, and proven results. Pioneering innovations, constantly re-created formulas and best sellers across time, Clarins makes creative audacity to your "trade mark". 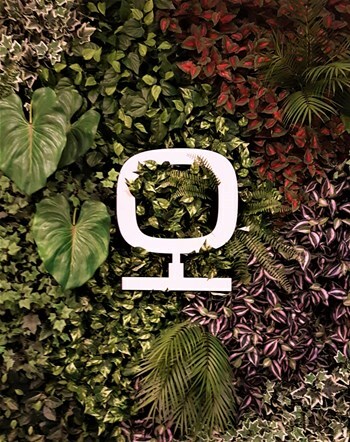 Get to know the best of the brand! A triple anti-UV protection, anti-aging protection and anti-pollution thought to life and beauty in town! Protects the skin against the appearance of dark spots and premature aging, preserving the skin youth and brilliance. Sun protection spf50 ultra-light texture that forms an invisible but powerful film, making it ideal for application on your daily care. This intensive serum is ideal to redefine the contours of the face, for a perfect oval with a view to treat signs of double chin, chats, excess fat, loss of definition. Tapered face, cheekbones and chin reduced effect redefined! The Double serum is already one of the best sellers, but that doesn't mean the brand ceased to innovate and find best solutions to take care of your skin. This new formula allows you to reactivate the vital functions of your skin 5, preserving your youth and fixing the signs of age that can already be present. This contains two phases, aqueous and oily, and is suitable for all women, regardless of age, sensitivity, skin tone or skin type; Since it offers a complete response and effective against skin aging. The best plants to the efficacy of the product. 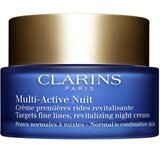 Thinking of the hormonal changes associated with menopause, and affecting mainly women from 50 years, Clarins has created a Multi-intensive firming serum mask face and neck! This indulgent mask and firming action will leave your skin visibly rejuvenated. For the skins exposed to assaults such as extreme temperatures, water with excess chlorine, or even the sunburn, Clarins has created the Booster Repair; a soothing and restorative care that will help you whatever your emergency! A SOS booster for the fragile skin and redness apparent that, when added to your treatment or routine hydration, reduces discomfort and skin irritation assaulted; reducing the burning feeling, sting and even the flush of inflamed skin. With this lotion, dry skin or sensitive stands resplendent acquiring a new luminosity and purity since has soothing extracts of Linden, and Chamomile to dissolve all traces of Creme Démaquillante Douce and leave your skin moisturized, toned, purified and perfectly fresh. Composed of 100% Pure Extracts of plants is ideal for combination and oily skins since associates essential oils with Aromatherapeutic action: Lotus essential oil, geranium and Hazelnut oil. An extremely rigorous production to guarantee a perfect quality! Slimming and firming treatment, firming the skin and reduces the fat, especially belly, waist, hips, arms and knees. Through the effectiveness of your slimming formula, rich in plant extracts, the Masvelt body care has an exceptional multi-redutora action leaving the skin immediately smoother, softer and embellished. Day after day the rebel fats are reduced to get a silhouette adelgaçada, firm and toned skin. Extremely gentle biphasic lotion, no oily effect and an express action on cleaning of impurities. Without perfume, it respects the pH of tears and does not irritate the eyes, even the most sensitive or contact lens wearers. Prevents aging marks, returning the tonicity and radiance to the skin. Eliminates the grayish appearance and prevent ageing marks, while moisturizing the skin. 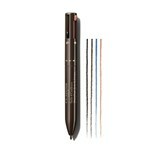 A timeless produt, with delicious colors and is available in a variety of intense colors. Modern and elegant packaging, which gives it a touch of grace at the time of application.